The thing about having a dry sense of humor, as I do, is that rarely can something make me break out into a full blown, side splitting laugh. Women are Scary had me giggling right into a snort! What an amazing book about the ups and downs of friendships between women. I want a copy for every one of my friends! Melanie Dale shares her personal experiences with her marvelous sense of humor, while expounding on the importance of community. 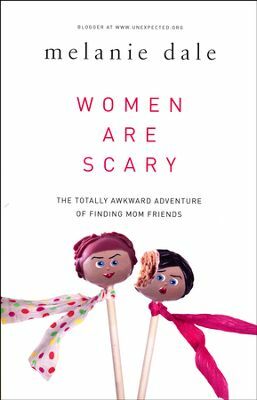 The book touches on areas from being the new mom in town to dealing with painful mom breakups. She even tosses in a section about Bromances! All the while, she keeps a Christian perspective. Anyone who has ever thought Christian books are boring has never read Ms. Melanie Dale. Women are Scary lays a truthful foundation while giving women the push needed to step out and make some new connections. It is a book that will make you smile, laugh and definitely want to pass a copy along because it is just too good to keep to yourself. Women are Scary gets a five out of five stars for sure!